The first years of life form the later life. In Ayurveda childhood is a kapha time where the body is constructing and creating itself. Ayurvedic preparations are there to nourish and heal children, specially formulated and passed down for thousands of years. Silicea, Baryta Carbonicum, Natrum Muriaticum, Calcarea Phosphoricum. Helps in proportionate development of growing children. 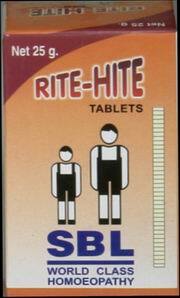 2 – 4 Tablets thrice a day. A Healthy traditional option. Ensures overall fitness. * Improves GI tract functions. * Corrects abdominal bloating & milk intolerance. * Promotes appetite & ensures healthy growth. * Ensures trouble free teething. * Treats flatulence & colic. Effective for application on the head and for massaging the affected areas of the body in Vaatha-rogam (diseases due to vitiated Vaatha dosha), Paksha-vadham (Hemiplegia), Sarvaanga Vaatham (Vitiated Vaatha disorder of the whole body), Dhaathu kshayam (tissue atrophy), Soothikaa-rogam (puerperal diseases) and Baala-rogam (diseases of children). Suddha Parad, Suddha Gandhak, Suvarna Maxik Bhasma, Kala Mari, Kla Bhangaro, Safed Bhangaro, Sambhalu Rasa (Nagod), Makoi, Grishma Sunder, Hulhul, Punarnava, Mandukparni, Safed Koyal. Very effective for children in treating cough, cold, teething troubles, indigestion, loss of appetite, constipation, dyspepsia, flatulence. Dabur Lal Tail is a natural Ayurvedic baby massage oil, which contains the properties of time tested herbs. These strengthen the baby’s bones and muscles, and help him/her stay ahead. It is useful for flabby, dry skin and wrinkles occurring during rickets. Shankha pushpin, Masha/Urad, Ratan jot, Kapoor, Saraldaru Tail, Til Tail. Useful for infantile rickets. For external use only. Packing: 200 ml. For paediatric use in indigestion, loss of appetite and flatulence in children. Ardrak, Ajmoda, Draksha, Amalaki, Mustha, Pudina, Honey, Sugar candy. Swarna Makshik Bhasma, Loha Bhasma, Mandoor Bhasma, Praval Bhasma, Kapardika Bhasma, Shankh Bhasma, Sukti Bhasma, Triphala, Trikatu, Kiratikta, Ajmoda, Indrajava, Ativisha, Kuberakshi, Vanshlochan, Bala, Javantri, Kesar, Nagkesar, Ajawain(Yavani), Suwa, Mishraiya, Gulab, Khashkhash, Draksha, Haldi, Bilvagarbh, Brahmi, Kasheruk, Jeerak, Dhanyak, Musali, Satavari, Punarnava, Parpat (Pitta Papado), Tulsi, Vasa, Sunthi (Shrungaver), Kshirkakoli. Stabilised Aloe Vera Juice, Citronella Oil, Eucalyptus globules, Ajwain extract. Gently rub a small amount of cream onto the exposure part of the body and massage gently. For external use only. Suitable for all age groups. Churanodak 200mgPrepared in the dicoctions of 4mg each of Brihadaela, Svecandana, Utpala, Medalakri, Maha Meda. Pippali, Pippalimool, Shatavari, Gulab Kali, Awalkathi, Ashwagandha, Vekhanda. It is a pediatric tonic for balanced growth and development of tissues, organs. It is appetizer & digestive. Also acts as nervine tonic for pediatric & geriatric group. ½ - 1 teaspoon three – four times a day. Baryta Carb., Silicea, Thuja Occ., Calc. Phos. It helps in promoting height and growth of children to their full potential. One tablet twice a week for children below 13 years. Two tablets twice a week for children above 13 years. Saunf, Mulethi, Neem, Babool, Pudina, Laung, Meswak, Tomar. It helps to protect against cavities, fight germs and maintains oral hygiene. It is also useful in gingivitis, toothache and spongy bleeding gums. To be used in the morning and before bed time with a soft brush. Natural essential oils with anti-microbial action. Hand disinfectant is an effective way for instant hand disinfection. It is effective against bacteria and fungus. Pour few drops of liquid and rub well over hands. No water required after use.